Looking for the best mosquito foggers in 2019? Click here to skip to our recommended pick! Most people want to keep outdoor events mosquito bite free. With warm spring temperatures and lots of rain, mosquitoes are expected to be worse than usual this year. Some people like mosquito traps, but others RAVE over foggers and the effect a decent fogging strategy can have on a mosquito population. But before you buy one, it's important to familiarize yourself with the basics when it comes to picking out one of these tools. We've put together a list of the five best mosquito foggers on the market as well as a number of buying tips for your reading pleasure. Enjoy! How Do Mosquito Foggers Work? What Are The Main Type of Mosquito Foggers? When and Where Should You Use a Mosquito Fogger? How Do Aerosol Can Mosquito Foggers Work? If you're short on time and just want a quick list of our favorites, take a look below. If you want to learn more, keep on reading! Before we get into the review, I thought it'd be useful to break down some of the mosquito fogger basics. We'll review everything you need to know about mosquito foggers so you can make the best buying decision! First, it's important to note that a mosquito fogger is different from a mosquito sprayer. Although they both spread chemicals to combat mosquito populations, foggers are machines powered by either electricity (cold foggers) or propane (thermal foggers) that spray insecticide into the air as micro sized droplets creating what appears to be a fog. Read Also: What're the best mosquito zappers? Below is a great video on how to use the Burgess fogger (a thermal fogger). I highly recommend you check out this video to give you an idea on how mosquito foggers work. There are cold foggers and thermal foggers. Both types of foggers can be used to control mosquito populations and each type has its advantages and disadvantages. Mosquito foggers vary significantly in their operation, but for the purposes of this article, I just want to cover them at a high level. Thermal foggers are more suitable for outdoor use because high temperatures used to heat the fogging solution can be a fire hazard indoors. Some thermal foggers are designed for indoor use depending on the model you choose, but a good rule of thumb is to keep thermal foggers for outdoors only. There are two main types of thermal foggers: electric and gas. Electric Foggers: Electric foggers work on electricity and must be plugged in to an electric outlet to work. Gas Foggers: Gas foggers typically use propane for power. One advantages of thermal foggers is that they are much more portable. Cold mosquito foggers do not require a heating assembly to operate so the heat generated from the equipment isn’t as much of an issue. Instead, they utilize air pressure to atomize fogging solutions that can get up and running in just a few minutes. Interested In More Ways To Kill Mosquitoes? Click here for our top mosquito killer picks! Cold Foggers vs. Thermal Foggers, What's The Difference? Thermal foggers tend to be more affordable, but they pose a significant fire risk because of how hot the equipment can get during operation. Some thermal foggers also spew out a lot of gaseous fumes. When in operation, you’ll also notice that the fog created by cold foggers tends to be invisible, which makes it difficult to control and accidentally inhale. 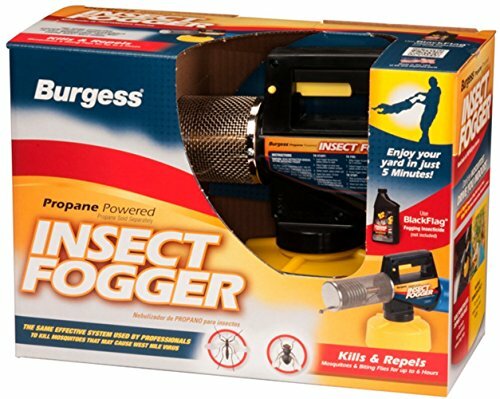 Mosquito foggers are a highly effective, but temporary solution for backyard bug control, so they’re best used for clearing mosquitoes of a campsite, before outdoor events or before you know you’ll be spending an extended period of time in your yard. You’ll want to use your fogger near shady areas of your yard, such as under trees, near standing water and in any other dark or damp areas where mosquitoes could rest and hide. You should not use mosquito foggers near areas with beneficial bugs, such as bees or butterflies, as the insecticide in these products will be harmful to those bugs as well. 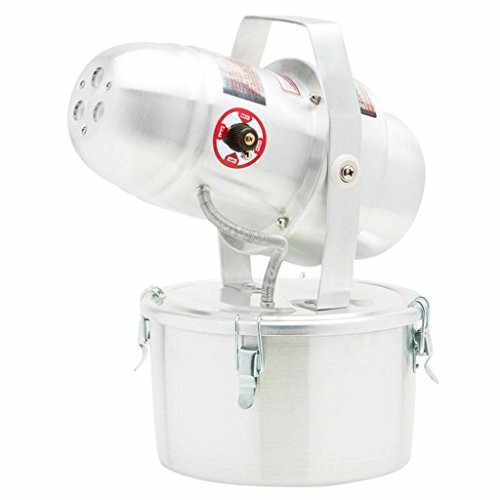 An aerosol can fogger is a more affordable option than its machine fogger counterparts, however, coverage can be limited. When using an aerosol can, you’ll be pushing down the fogging trigger and walking around your yard spraying the fog instead of using a separate piece of equipment to deploy the spray. If you have a larger yard, you may need to purchase several cans in order to ensure your entire yard is covered. Aerosol cans cover a 30ft x 30ft area, so this is a great option for small yards. You’ll want to make sure to avoid spraying any areas that contain edible plants as most aerosol fogger products are not safe for human consumption. If your edible plants are in movable containers or pots, you can move them to another area or indoors temporarily. 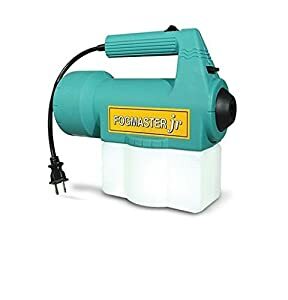 Our personal favorite mosquito fogger is made by The Fountainhead Group, Inc.
With a design that hasn't changed in 30+ years you know you're getting a quality product. The Burgess 1443 is a thermal fogger, which makes it more suitable for outdoor use vs. indoor use. It holds 40oz of insecticide in a large container, which does makes the unit a tad bulky. I really couldn't find anything bad about this tool. If I'm nitpicking, I'd say that the only drawback is that you have to heat up the coil with a match or lighter. 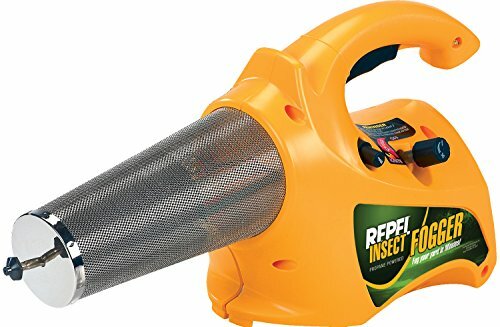 As long as you let it warm up for about 2-4 minutes and pull the trigger every 4 seconds (not continuously else you'll be spraying pure liquid) you'll have yourself a tool that will decimate your mosquito population in minutes spurring up large clouds of insect death. Try not to smile too much as the mosquitoes come crashing down in utter defeat. The Fogmaster Jr. is a cold fogger powered by electricity unlike the Burgess above. Because it needs electricity, you'll be tethered to the nearest wall outlet, which I don't like when mosquito fogging. This is a small unit well suited for home use or a small yard. The units blowing distance is approximately 5-10ft. You could probably squeeze a little more distance out of it on a windy day. Some call this fogger a miniature jet engine given how loud it is when turned on, but when it is turned on, it sports some real horsepower. As opposed to the smaller Fogmaster Jr., the Tri Jet ULV fogger is a step up in both quality and function. This unit produces a fog that sprays almost 6 times as far (30-40 foot distance) and has a tank capacity of 4 times as large (1 gallon). The unit is prone to clogging, but a simple rinse with water and soap should put you back in action. The Repel fogger is a more ergonomic and user friendly alternative to the Burgess, made by the same manufacturer, The Fountainhead Group, Inc. The Repel sports an ergonomic handle for a more comfortable grip while fogging. It also has an igniter button, which makes it easy to preheat before use. In contrast, The Burgess above requires a match or lighter to heat up the coil before use. Although this mosquito fogger is made by the same folks who make the Burgess, there have been reports of poor durability with this model. 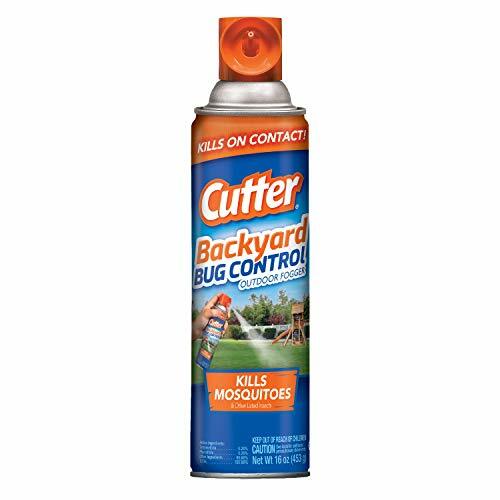 If you're in a pinch, and need to eliminate mosquitoes, then you might want to look into grabbing a couple of cans of Cutter. What I like about this product is that it's extremely portable and is a contact killer. If I notice a mosquito problem around my yard, I can quickly deploy some Cutter and take care of the issue quickly. The bad about Cutter is that it's limited. In my experience, you'll get about 20 seconds out of each can, which is just enough to fog one large bush. I've also experience instances where the cans don't produce a fog, but instead a steam, which has almost no effect on the mosquitoes. For an affordable price, you'll get a quality fogger that could potentially last you 30+ years. we also do recommend you consult with a licenses exterminator before you attempt to deploy any insecticides around your home. This is because certain states and localities have restrictions on what you are and are not allowed to spray into the air. An exterminator could help answers these specific questions. To make this easy, we've developed a tool to help you get a few free quotes from exterminators in your area. Click here to use it!